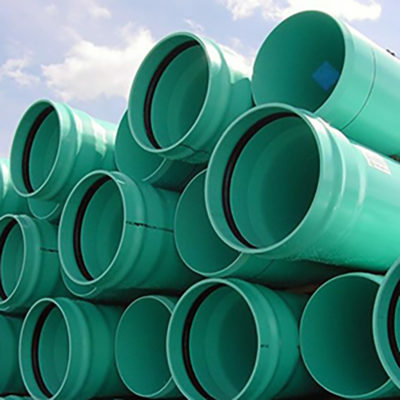 ASTM F679 Sanitary Sewer Gravity PVC Pipe is manufactured to meet the needs of modern municipal waste water systems, storm water drainage systems, and other non-pressure applications. 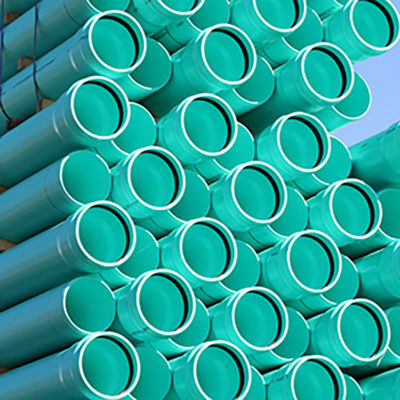 Restrained Joint Gravity Sewer PVC Pipe have features and specifications uniquely suited to Horizontal Directional Drilling and Static Pipe Bursting applications. 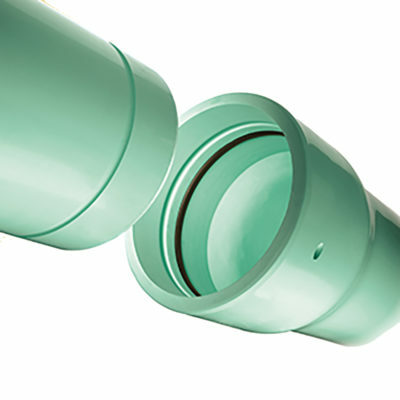 Restrained Joint Gravity Sewer PVC Pipe is an ideal product choice for municipal sewer system repair projects as well as new construction.